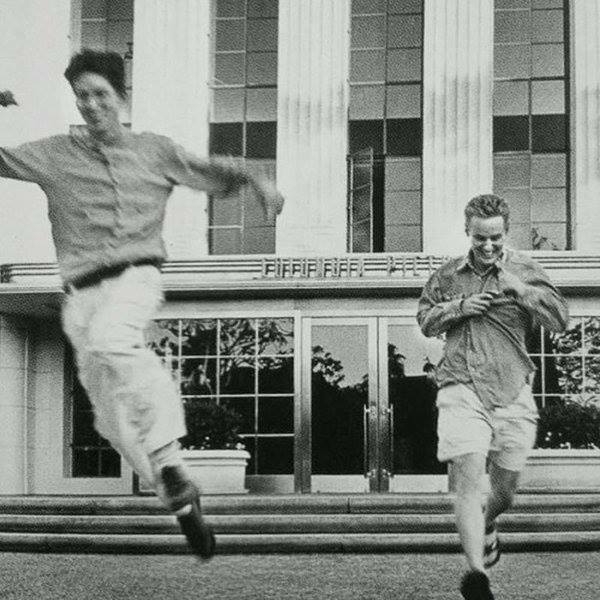 Frequent collaborators Wes Anderson and Noah Baumbach have made a video together for a good cause: to help Frank Marshall and Peter Bogdanovich get the lated release of Orson Wells’ final film, called “The other side of the wind”, a real thing. The project they are supporting is on Indiegogo and you can go there to read more about it and, if you’d like, donate money. If you haven’t heard of The Other Side of The Wind, it was supposed to be Orson Welles’ comeback title. After years spent working in Europe, Orson returned to Hollywood intent on making a film about filmmaking, but managed to hit an obstacle at every turn and, although he finished shooting it, he did not finish editing and the film was never released. I’m sure that there are a lot of people who would love to live in a Wes Anderson’s movie. Unfortunately, this is not possible. But we have something close to it. 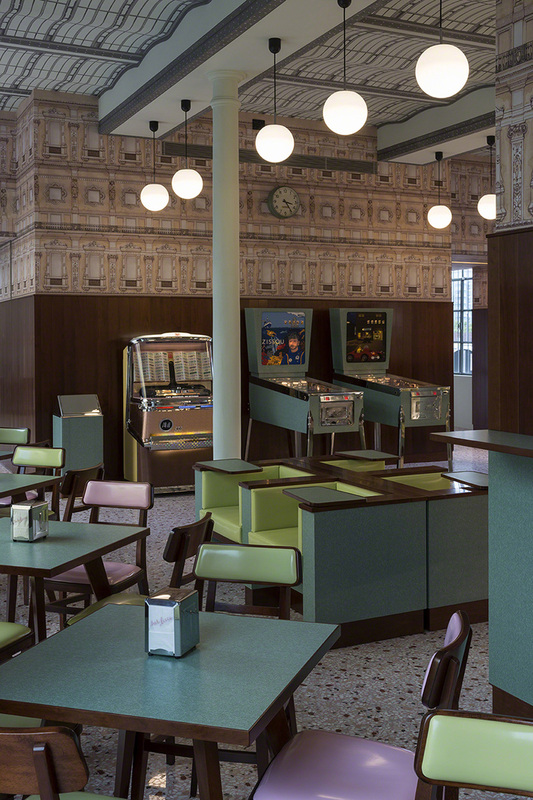 And it’s called Bar Luce and it’s part of the Fondazione Prada, in Milan. “While I do think it would make a pretty good movie set, I think it would be an even better place to write a movie. I tried to make it a bar I would want to spend my own non-fictional afternoons in”, said the designer Wes Anderson, who created a place as beautiful as his movies, but tridimensional. The bar opened on on May 9 and if you can’t go there yet, I recommend you to see the pictures under the tag #BarLuce on instagram (and if you visit it, take a picture!). “While We’re Young” was introduced by A24’s David Fenkel, and the after-party was held at Lexington Brass. Wes Anderson, who stayed through the film’s end credits and took selfies with fans waiting outside, walked over with Vogue editor Grace Coddington. The “Moonrise Kingdom” director was later seen chatting in a dark corner of the party with another powerful New York filmmaker — Spike Jonze (who said he still hadn’t seen the “Girls” finale, on which he had a cameo as a music executive). In the pictures we can also him reunited with Ben Stiller, who stars in Baumbach’s movie. The Academy Awards are tomorrow and, as you know, Wes Anderson’s The Grand Budapest Hotel has 9 nominations. Even when it’s not the movie that everyone expect to win (Birdman and Boyhood are the titles that sound mostly as the winners), remember that it won at the Writers Guild Awards and 5 BAFTAs (Make Up & Hair, Original Music, Original Screenplay, Costume Design and Production Design) which it could mean that the movie is going to have a good night, even if it doesn’t win in the main cathegory. Why he deserves to win? I think the main reason is that he has always been faithful to his style. Even when his movies have been as much loved as hated by people, he never changed. The Grand Budapest Hotel is a 100% Wes Anderson movie and the people couldn’t help fall inlove with it and that’s why, even when it is one of the earliest released of the nominated movies, it is one of the most nominated and celebrated. And to continue with all the award seasons related, The Grand Budapest Hotel also won at the Critics’ Choice Awards in three categories: Best Costume Design, Best Art Direction and Best Comedy. The love for Wes Anderson’s The Grand Budapest Hotel is bigger than you thought. Now we have more reasons to be happy for him and for that beautiful movie that we sure love. This morning we could know the nominations for the Academy Awards 2015. And guess what? The Grand Budapest has 9 nominations, just like Birdman. It could have been nice that Ralph Fiennes also got nominated as an actor, but this couldn’t be. Anyway, these are all the nominations for the movie. Today were announced the nominations at the Directors Guild Awards (DGA) and we are happy to let you know that Wes Anderson is nominated for his work on The Grand Budapest Hotel. He will be competing along with Clint Eastwood (American Sniper), Alejandro Gonzalez Iñarritu (Birdman), Richard Linklater (Boyhood) and Morton Tyldum (The Imitation Game). 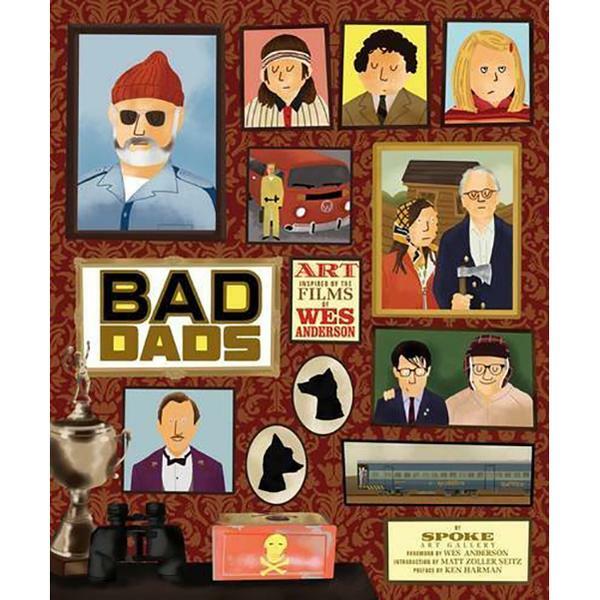 It is the first nomination at the DGA for Wes Anderson and so it is for Linklater and Tyldum. The winner will be announced on February 7.